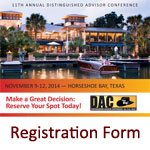 Register today for the 11th Annual Distinguished Advisor Conference! Contact Carol Scott via email: carol@knowledgebureau.com or via phone at 1-866-953-4768 to reserve your spot. The Distinguished Advisor Conference™ (DAC) is held in locals where Canadians go to retire to determine the economic, retirement, investment, currency, health risk management and tax environment for which tax and wealth planning is required. This makes the educational programming unique and specific to the wealth management needs of clients and unavailable elsewhere in North America. Expenditures may be deductible; however, delegates should seek professional advice for their personal circumstances. A maximum of two conventions per year only are claimable and the business must have a reasonable expectation of profit. Several other criteria may exist for out of country conventions. Visit our Tuition Fee Deductibility section for more information. Registration includes 15 hours in session, journal, accreditation, certification, reception, breakfasts, mimosa breaks and group dinner. Instalment payment options are available if you would prefer a monthly fee. Please contact us for more details. Bring a friend or colleague. Group rates are available. Contact us at 1-866-953-4769 for more details. Register by sending us your completed application (click here to download) to us by fax at 1-204-953-4762 or email at registrar@knowledgebureau.com. You can also call us at 1-866-953-4769 to enrol by phone. 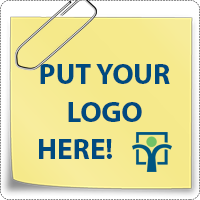 Click here for our registration policies.